The LP-CB is manufactured using a patented process and made entirely from FDA-compliant materials. It is an ideal choice for a wide range of residential, food service, commercial and industrial applications. 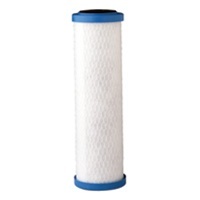 It is much more efficient than granulated carbon filters because there is no channeling or bypassing of fluids. * Based on manufacturer’s internal testing.